Multicam productions have become more popular than ever, thanks to the extremely low cost of camera gear and easy intergration into video editing apps. Even still, many producers attempting multicam for the first time aren’t able to get it right. While the thought of setting up a multicam shoot can be daunting to producers/directors who have never done it before, knowing how to do it right has some massive benefits. Not only do multicam setups help keep time on-set to a minimum (and therefore also keep the budget down too), but they can also provide creative freedoms that aren’t otherwise offered by single camera environments. For instance, if you are directing a comedy and want to allow your actors to improvise, a multicam setup would be ideal so that you can catch all of the spontaneity, while also having enough coverage to cut together the scene cohesively in post. 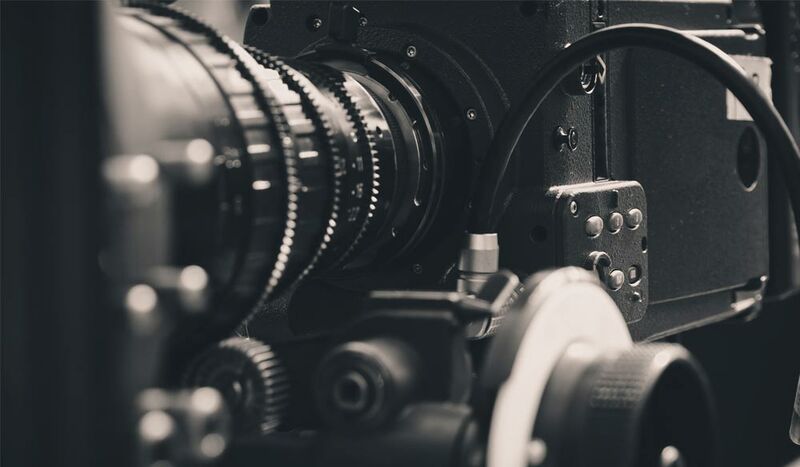 Whether you’re interested in shooting multicam as a means to keep your budget down, to give you actors more freedom, or you simply have no other choice – this article will go over a few considerations for getting started with multicam shooting. The very first thing you need to address with your multicam set up is the placement of your cameras themselves. I have seen some huge mistakes made with regards to camera placement in low-budget multicam situations, and the end result always ends up looking sub par. If you want to achieve professional level results with your shoot, you need to make sure that you are optimizing your coverage. In other words, if you are shooting a scene with two actors and you have 3 cameras on them – you probably want a close up on each actor, and then a wide/medium master shot. This may sound obvious, but you probably wouldn’t believe some of the poorly executed camera placements that I’ve seen over the years. For instance, in a situation like the example above, I have seen setups where the director wanted all three cameras roaming (as opposed to locked off on each of the different actors) and ultimately it defeated the purpose of shooting with a 3 camera setup. As you might imagine, when it got time to edit the scene it was extremely difficult for the filmmakers to cut together all three angles as they often were too similar looking to intercut. This doesn’t mean you can’t get creative with your multicam setups, but rather that you make sure you are never doubling up on coverage, regardless of the creative choices that are made. The manner in which you and/or your DP approach your lighting setup also needs to change drastically from what you may be used to in single camera situations. When shooting with one camera, your setup naturally only matters for the particular angle and take that you are executing, and when you go in for coverage you can make small adjustments to your lights (such as walking in a key or fill) as needed. With multi-camera lighting though, everything changes. The easiest way to get the look that you’re after while maintaining visual consistency is by setting up your lights much in the same way that a stage play or a sitcom is set up. To clarify – I’m not suggesting that you make creative choices that will make your final product look like a play or sitcom, but rather that you make rigging and logistical choices in that same way. For example, lighting from above (by rigging lights to a ceiling or grid) would be hugely preferable over lighting using traditional stands. The reason of course being that when rigged to the ceiling, the lights are completely out of the way and you can shoot in nearly any direction that you want. Lighting your set this way will inevitably take more time up front – so be prepared for some extra time pre-lighting, but in the end it will completely balance out as you will save loads of time once you start rolling. Amongst the most common and problematic issue that arises on multicam setups (particularly on low budget indie films) are mismatched cameras. In many instances, small productions don’t want to rent two or three identical cameras, so they mix and match various cameras that they have access to in order to supplement their multicamera setup. While this can be done and in some circumstances you can get away with it, I would highly advise against mixing cameras whenever possible. In an ideal world, you want every camera to be the exact make and model, or at the very least the same brand. For example a Canon 5D MK II and a Canon 7D will match a lot better than a 7D and a Lumix GH4 since Canon and Lumix use completely different firmware and color science. Even if you are shooting on identical cameras, you still need to be extremely diligent when it comes to your settings (camera profiles, shutter angle, white balance, etc.) as any slight difference in your camera settings can cause some big headaches in post. And unless you are a professional colorist, or have it in your budget to hire one, you’ll want to avoid making any mistakes in post that can cost you some serious time and money down the road. Shooting multicam isn’t right for every project, but when time is of the essence and budgets are low, it can be a fantastic way to save money and allow you to move quickly without sacrificing quality. In order to do it right, you need to place your cameras strategically, have a rock solid lighting setup, and make sure that you are using cameras that match as closely as possible. Also, be prepared to spend some extra time up front on rigging/pre-lighting days, and know that investing your time in prep will help you immensely once principal photography commences.